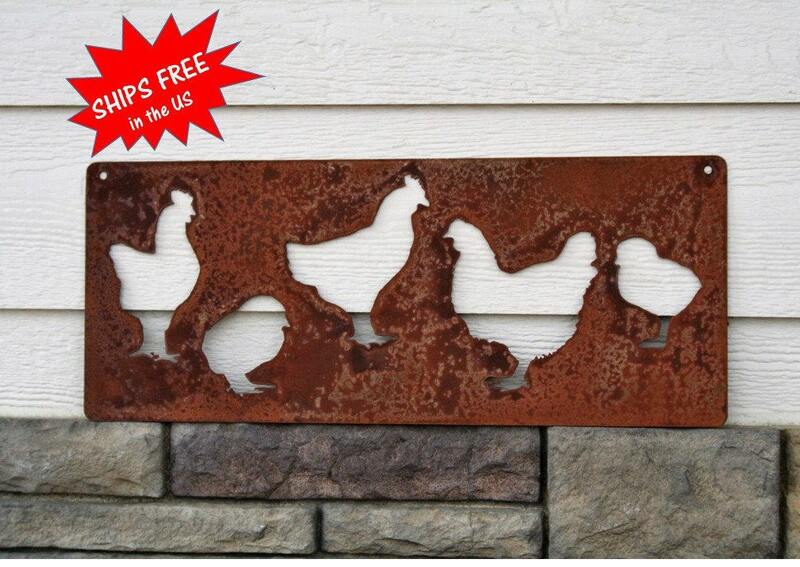 Chicken coop sign includes 2 holes for hanging on the chicken coop, fence or a gate. 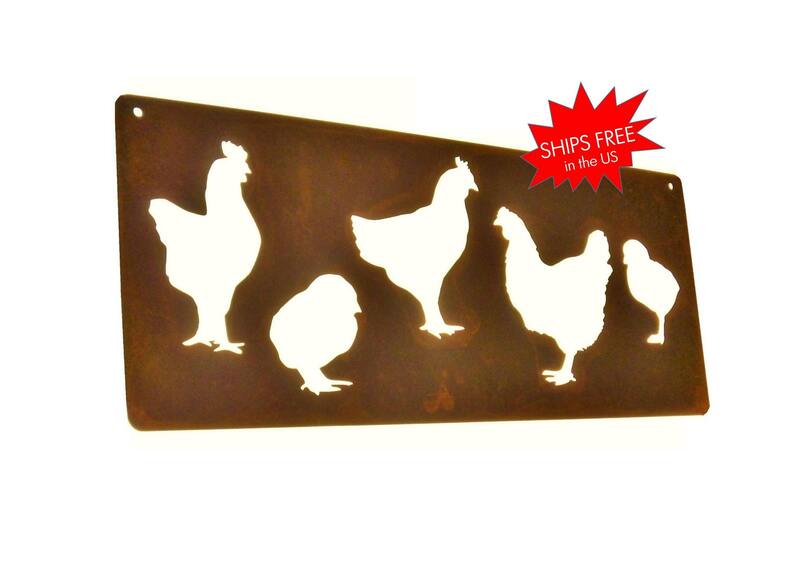 Rusty chicken sign is a great gift for any poultry enthusiast! 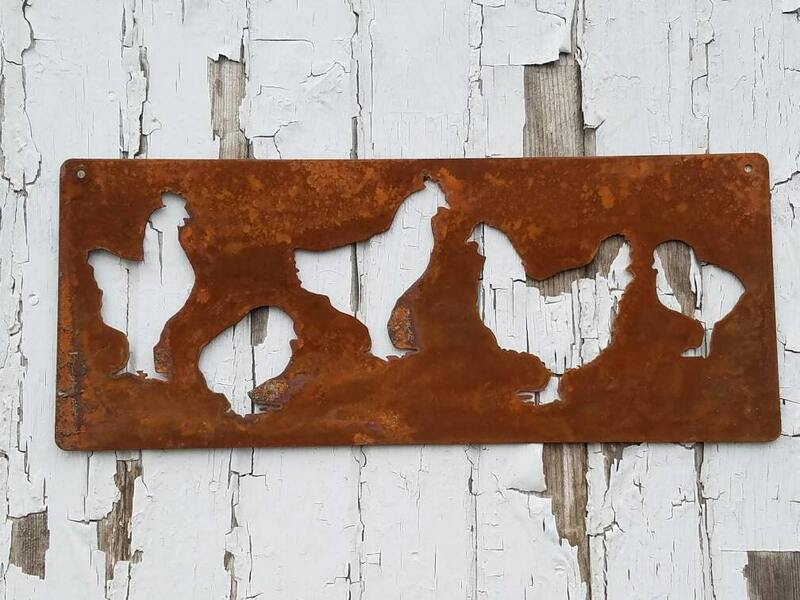 Sign is cut from steel just thinner than a nickel. 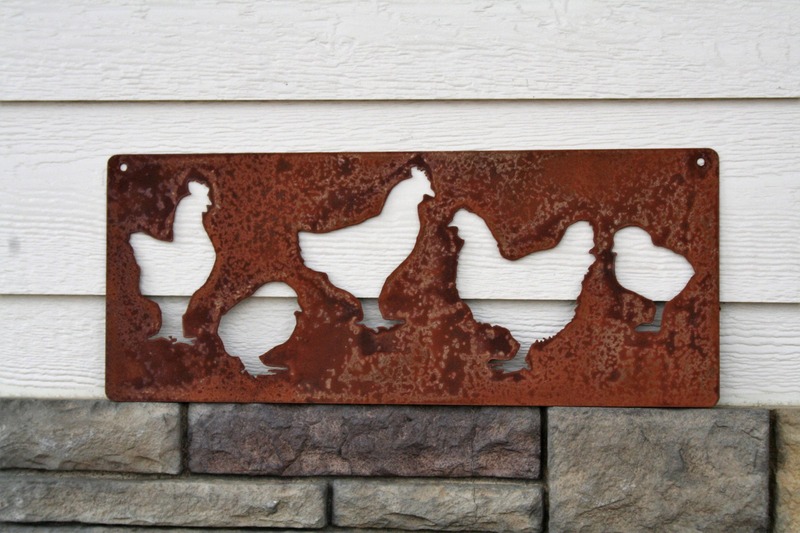 It's durable and ready to stand guard for your chickens for years. 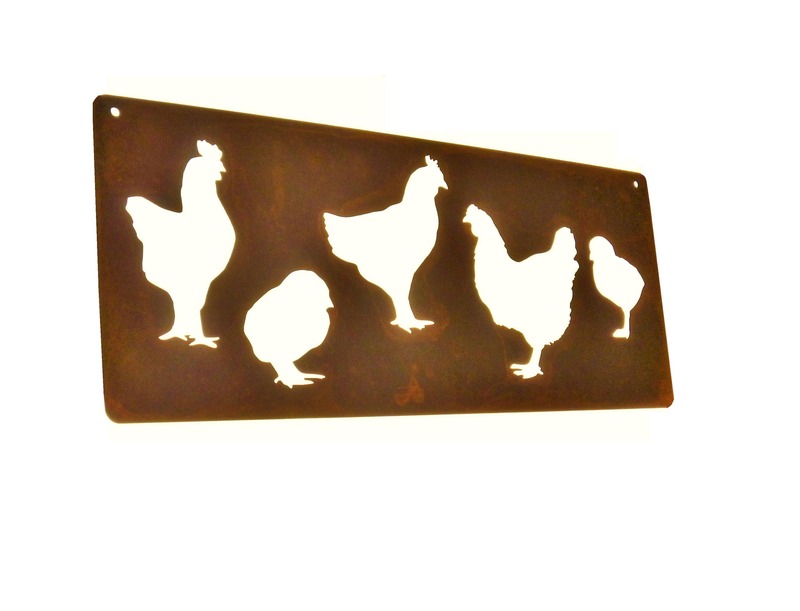 Chicken sign is 8" tall and 20" wide. Perfect fit for a small chicken coop door. Also display on the garden gate or the poultry cage. Small holes in the upper corners make it easy to install. Simply nail onto the wall or add chain if you wish. 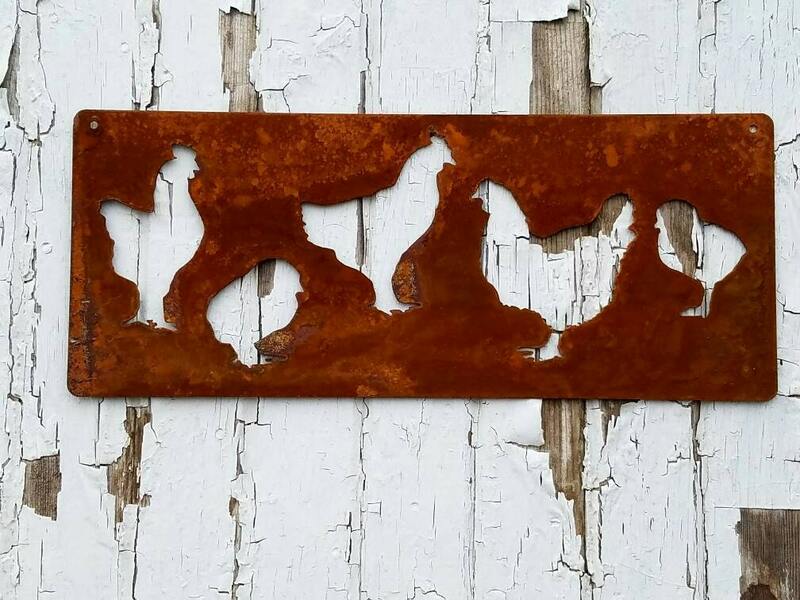 We hope you love this chicken coop sign as much as we loved making it for you! Very quick turn around! Great product! I love the chicken sign! 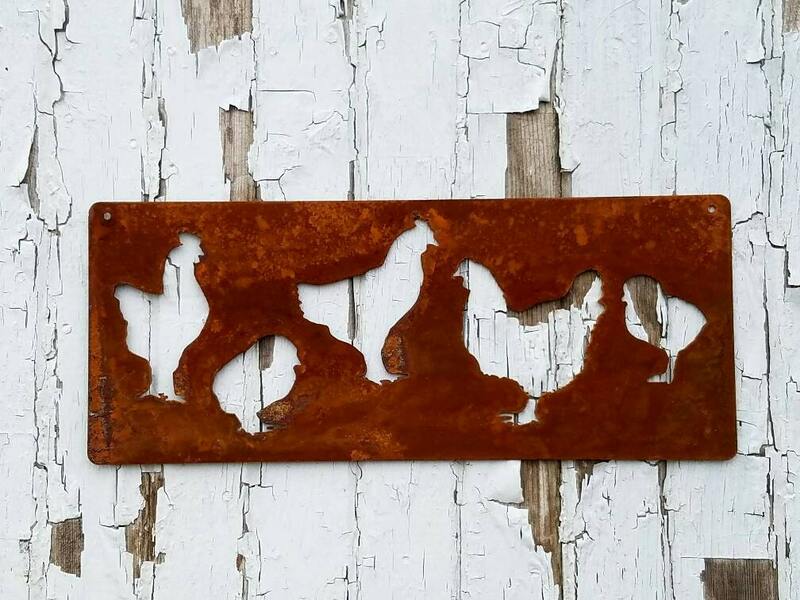 Very well made, exactly what I was looking for to hang in my kitchen! Thank you!